Now that your school is a part of the Subscription Model, you have a separate landing page to send to your future subscribers. 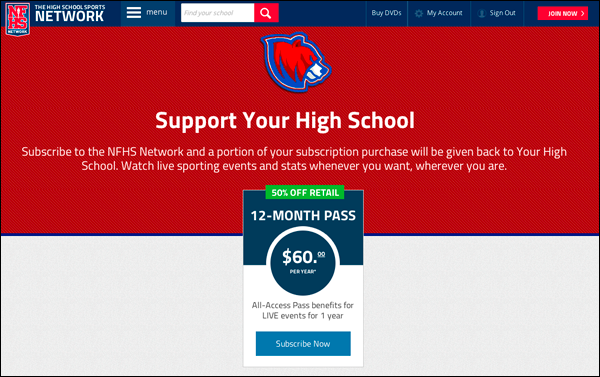 It explains how purchasing a subscription to watch you live sporting events benefits your school. Use the link in your marketing messages to your community. Wow, that URL is long! 3. You now have a short URL that you can use anywhere! The Subscription Landing Page is your strongest tool to direct future subscribers to the right place to support your school. A QR You can use the same Google tool to create a QR code.